The first step in understanding a residential drainage system is knowing which system you’re working with. Each system is unique and contains specific components to function. It's equally important to understand the function of the smaller components of the entire system, as these individual parts tend to cause issues rather than the system itself. Surface Drainage. In a surface drainage system, ditches are installed in a parallel pattern. These ditches are used as channels for excess water. The water then flows to a main drain or away from your property. This keeps water from pooling around the foundation of your home. This is commonly used on low-lying or flat properties. This system is most useful for these homes because it removes and shifts pooled water elsewhere. Subsurface Drainage. Also known as a French drain, this system utilizes a pipe placed underneath the top layer of soil. It avoids waterlogging because this pipe is installed well below ground level. This pipe takes the water away from your property. After the pipe is installed, a layer of gravel is used to fill the trench. This system is beneficial for properties with landscaping and foliage. Waterlogging creates many issues for plants and shrubbery, and this is the best system to foster growth and limit flooding around your property. Slope Drainage. Slope drainage systems allow water to take its natural course. The pipes in this system are anchored on a small incline that allows water to flow away from your property. In this system, a regrading technique may be used to best direct water into a storm sewer. If your property lies on an uneven plain, consider using a slope drainage system. By regrading your property, you avoid other potential issues from an uneven foundation. Downspout & Gutter Systems. These systems are best for removing roof water. This system uses two primary parts, the downspout and the gutter system. Downspouts can be round or rectangular and are usually made of a light, flexible metal. This system is best for properties that consistently receive heavy rainfall. This rainfall can build up on your roof and lead to serious problems. Internal Pipe Network. Pipes run throughout your home transferring clean, dirty, hot, and cold water. Unclean water is pulled through the drainpipes with the help of air passing through vents in the drain. While smaller parts of the residential pipes may wear down, the pipelines should last as long as your home. Vents can be found on the roof of your home. It allows air to enter the drainpipes, which permits wastewater to naturally flow through. Vents make drainage possible without the constant need of system siphoning. Traps. 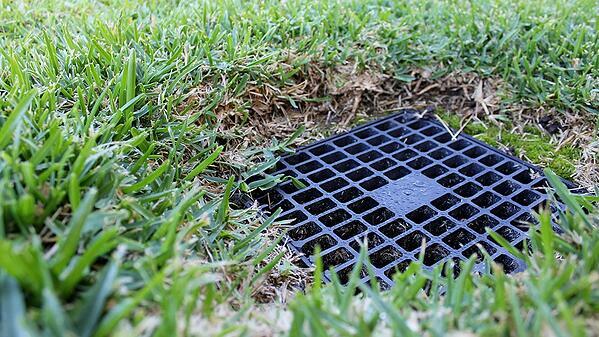 The most common kind of trap can be found underneath any residential sink. This is the curved piping that seals off sewer smells. While others aren't as obvious, every residential plumbing fixture has some type of trap. These are put in place to limit sewer smell buildup, prevent clogging, and remove blockage. Interceptors are put in place to separate hazardous waste from normal waste. Hazardous waste goes in, and then is discharged through the disposal terminal. Shutoff Valves. Knowing where the shutoff valves are located is extremely useful if something goes wrong with the system. Most fixtures have a unique shutoff valve. Before working on any plumbing fixture, shut off the water access. Septic Tank. Septic tanks use bacteria to break down waste from your home. In these tanks, layers are formed. They consist of solids, wastewater, then oils on top. Once you understand which system your home has, you can locate the primary parts to better handle plumbing anatomy.